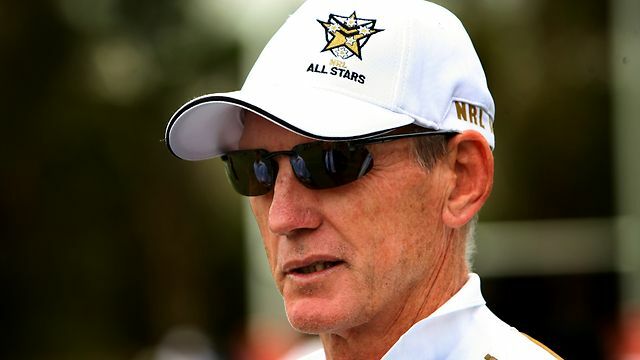 Wayne Bennett isn’t usually the one to make big statements. But in the last few weeks the legendary coach has branded Anthony Milford the next Darren Lockyer and hammered Johnathan Thurston. “I’m not going to talk premierships this year. In fact, I’m not talking about them for the next two years,” Bennett told The Courier Mail. “If I’m lucky, something might come along for us, but I know what I have to go through to win (another premiership). “I know what we have to do to get to where we want to be … but there’s a lot of hard work to get back to what we used to be. Players don’t just make a team great … it’s the system, it’s what you create and everyone buys into it. Bennett struggled with the Newcastle Knights over the last few years but sees bright things for the Broncos. “When you get the right coach, it’s just a time thing to get them to play the footy that is going to win premierships.